Anchor Music News had the privilege of Attalus. 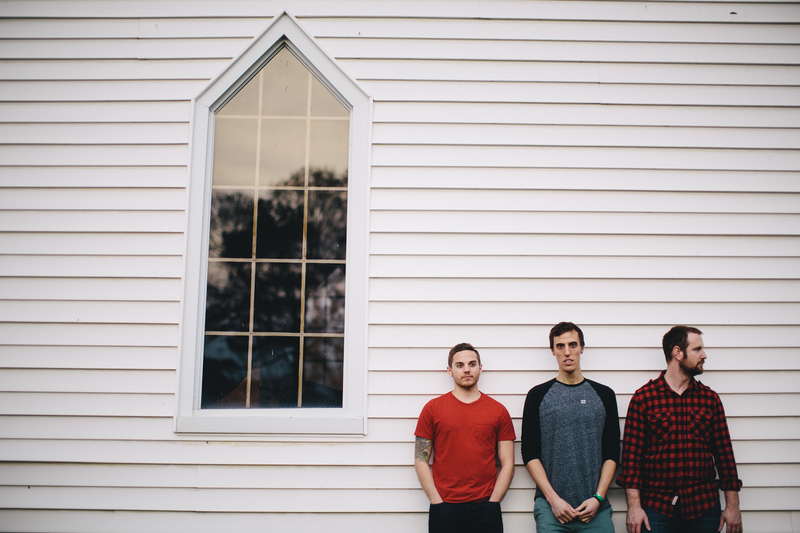 Attalus released their debut record “Into The Sea” on Facedown Records on Tuesday. In this interview we talk about the new album, how they got their name, barbecue places in Raleigh, North Carolina, and so much more. This is one of my favorite interviews. Interviewing the band made me feel like I was talking to old friends. There was an abundance of humor and joy. The band answered my questions and were excited to be interviewed. I would interview this band again and watch them live. Rob: Where did the album’s title come from? Attalus: It comes from the name of the song Into The Sea that was written a little while ago. The song was before Attalus was even a band. A couple of the songs on this record were pre Attalus but they had the same theme. I was obsessed with a sea theme for awhile back in freshman and sophomore year of college. It seemed like a pretty good title of it. Rob: What themes are you want people to get from this record? Attalus: The sea is in reference to God and grace is the overall theme. The last song of the album is Message in a Bottle. The last lines are a summary of the whole album and the song Death be not Proud. The big lyrical theme is the sea being judgment. The first half of the album is pre redemption and Into The Sea comes as a decision to follow Christ. From then on the sea is peace and rest. The sea is the Father and our position with Christ changes our position with the Father. The ship is our human life and our attempts to control it. The judgment in the first half of the album is pointed at humanism and man’s self righteousness to rectify all the wrongs we see in the world. There is one line is Desolate Isle that says “we are judges yet we should be standing on trial. We are the ones that make this world at desolate isle. We are the problem every father every mother every child.” We are a very proud people that think we can save ourselves, which cannot happen. Rob: One song that stood out was Desolate Isle. Can you explain the songs meaning? Attalus: There is a lose narrative to the album that we have all talked about. We did not make that to explicit. Desolate Isle is the protagonist of the story. It is against the wisdom of the world. It is similar to a song on a previous album called Knight. It is about the wisdom of man and trying to make it on our own. We don’t realize our corruption and don’t have the answers. We can’t save ourselves. The first half of this record is a challenge to someone who is wandering and wants answers. Rob: You have a unique sound. What bands have inspired your sound? Attalus: We have very different styles. The bands we collectively respect and draw influence from are Blindside, Brand New, Relient K, and Copeland. There was a wave of Christian rock bands in the early 2000’s. That is the only time in our music history that we agree on bands. These bands influenced when we were young and gave us a starting point for us to measure up against. We all listen to different things now. We each bring something way different to the table. Rob: Where does your name come from? Attalus: Attalus is the name of a man that was killed back in the 2nd century in modern day France. There is a group of people called the Martyrs of Lyons. It was a time of local persecution of Christians. One of them was Attalus. He was a prominent member in this community. He was an outspoken Christian man. There were all these accusations of Christians. One of them was they were cannibals. Attalus and this group of people were lead out in this amphitheater. They were given a choice to renounce their faith or we will kill you. Attalus was one of the last people that did not denounce his faith. At the very end of his life he was being put on the Iron Seat where they were going to burn him. Just before he died he said “This is cannibalism we are not the cannibals but you are because your devouring men. It is an obscure story but it was really inspiring to read. We all decided a name that was meaningful and intentional. Rob: Why did you sign to Facedown Records? Attalus: We were actually in negotiations with another label that went sour. Getting this record released has been a long process. In February, I got an email from Jason at Facedown Records. He randomly came across us in a Twitter message. We are pretty sure it was our old bassist that messaged him. Jason from Facedown Records listened to some demos of songs on “Into The Sea.” He was really excited about that. Facedown Records loved the music. I have been listening to Facedown bands since my early teens. The message behind their music and what they’ve done. Rob: What Facedown Records bands are you fans of? Attalus: My Epic and we had a release show Friday. They played with us. Hands, Impending Doom, For Today and War of Ages in high school. Rob: Being from Raleigh, North Carolina. What is your favorite Barbecue place? Rob:Is there anything you would like to plug? Attalus: We are excited this album is out. Go check out “Into the Sea.” Thank you for the interview. Go pick up this record at Facedown Records store, Amazon, and iTunes.